Just a quick note to say that we are feeling summer at Mini B. With the warm weather and the nice rains, it truly feels like summer. We are super excited to say that Millie and Alan get home from their mission next week. So for everyone that has been asking…Millie will be back in town. We can’t wait until she gets a minute to come and see us! Fri and Sat’s during June and July. 10am-5pm or by appt. This week is our Mom’s 85th birthday. She is such a fun lady and is such a good friend to every one of her daughters. (no boys in our family….just 6 girls) Anyway, we were talking today while we were helping her plant flowers…..yes in the cold and the wind….but anyway… about how much we enjoy each other and our Mom. We think that women need the companionship of women to get along in this life. We are so glad that we have each other along with other friends. The men in our life probably think we’re silly, but it’s just fun to do girl stuff. We’ll be glad when Millie gets home and she can join in the fun. Shopping, concerts, shopping, lunches, shopping, etc. Just the stuff that we think is fun. Oh, did I mention shopping? So here’s to all the girl friends, sisters, aunties, daughters and Mom’s in our lives. Let’s have some fun together! 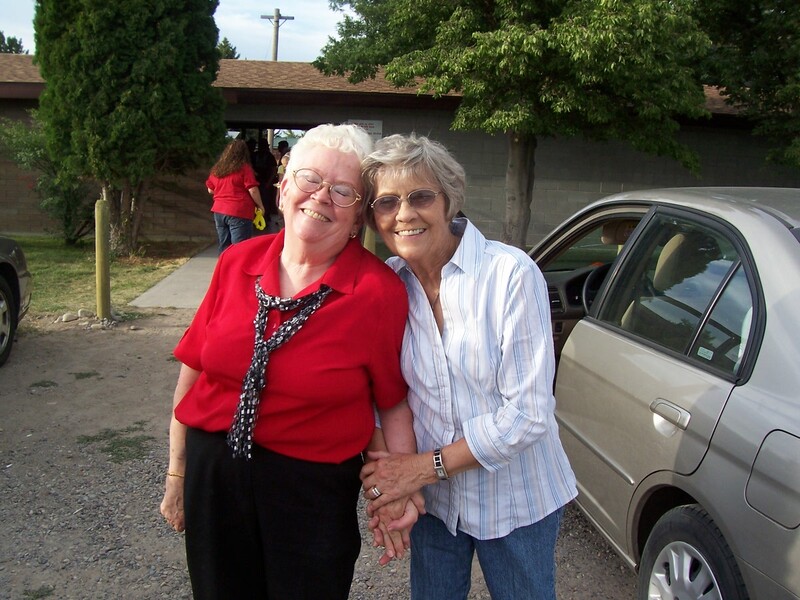 This is our Mom (on the right) and one of her fun sisters. We adore all of her sisters, too. We have had lots of fun with them over the years, along with our cousins. They are kind of a “lets have a party” type gals. When summer comes, I hope everybody grabs a friend and heads out to do some fun girl stuff! It seems like Mini Bazaar is a place that we see lots of girl friends and Mom’s and daughters, and we think it’s great. See ya soon.